The Reefs is pleased to announce the appointment of Helen Bryan as Spa Manager at La Serena, Bermuda’s exclusive Elemis spa. In her new role, Ms. Bryan will oversee the daily operations and team of therapists at the 8-room full-service spa. “Helen’s leadership skills, commitment to service and knowledge of Elemis made her an excellent choice to lead La Serena,” comments Nagma Walker, General Manager at The Reefs. A spa professional with 11 years of experience, Ms. Bryan joined La Serena in October 2010 as a Lead Therapist. Previously, she was the Lead Beauty Therapist at Willow Stream Spa at the Fairmont Southampton. 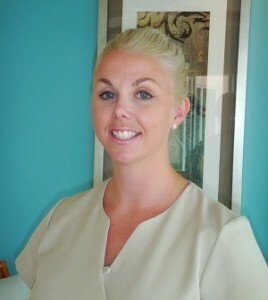 Her career experience includes working as a Beauty Therapist in the UK and on Royal Caribbean Cruise vessels. “Our intimate setting allows us to get to know our clients and provide a personalized experience with impeccable service,” says Helen Bryan, Spa Manager at La Serena Spa at The Reefs. “One tool that we will be embracing is social media, which allows us to continue the relationships and dialogue with our guests in between appointments,” adds Ms Bryan. Mr. Dodwell, Is she a Bermudian? Helen is not Bermudian but she may be married to one, just still using her maiden name and not the ‘Mrs’. Been seeing that a lot lately. She’s been working in Bermuda for atleast six years, maybe more.